"A Christmas Carol" - a beloved holiday classic, it's probably the best known of Charles Dickens' work. It has been adapted countless times, sometimes closely following the original story (like the version in theaters now), sometimes changing it drastically (as in Scrooged, my personal favorite). It's a familiar narrative about the virtues of thankfulness and generosity. 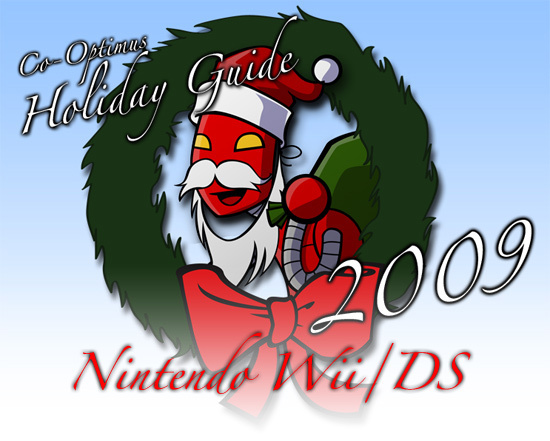 As we consider the Co-Op Holiday Gift Guide for the Nintendo Wii and DS this year, we'll tie in the games to the major events and characters of "A Christmas Carol". "Oh! But he was a tight-fisted hand at the grindstone, Scrooge! a squeezing, wrenching, grasping, scraping, clutching, covetous, old sinner! Hard and sharp as flint, from which no steel had ever struck out generous fire; secret, and self-contained, and solitary as an oyster. The cold within him froze his old features, nipped his pointed nose, shrivelled his cheek, stiffened his gait; made his eyes red, his thin lips blue; and spoke out shrewdly in his grating voice. A frosty rime was on his head, and on his eyebrows, and his wiry chin. He carried his own low temperature always about with him; he iced his office in the dog-days; and didn’t thaw it one degree at Christmas." Let's face it, these are tough economic times. 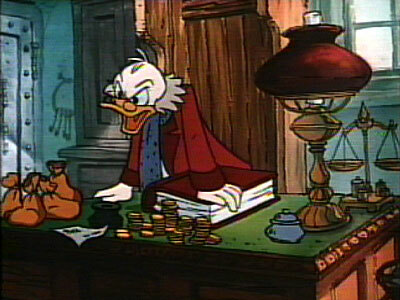 When money is tight, all of us feel a bit like Scrooge. But just because your budget is tight doesn't mean that you have to settle for poor co-op. 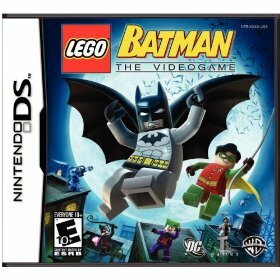 LEGO Batman DS, Spyborgs, and House of the Dead Overkill can each be had for under $20, and we think that's a lot of co-op value, even for a miser like Scrooge. "The same face: the very same. Marley in his pigtail, usual waistcoat, tights and boots; the tassels on the latter bristling, like his pigtail, and his coat-skirts, and the hair upon his head. The chain he drew was clasped about his middle. It was long, and wound about him like a tail; and it was made (for Scrooge observed it closely) of cash-boxes, keys, padlocks, ledgers, deeds, and heavy purses wrought in steel. His body was transparent; so that Scrooge, observing him, and looking through his waistcoat, could see the two buttons on his coat behind." 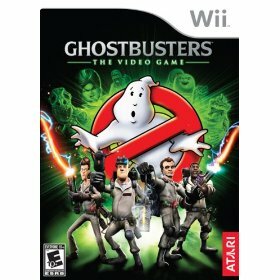 Rattling chains and a tormented spirit, come back to life; Marley's spirit would fit in nicely in Ghostbusters. 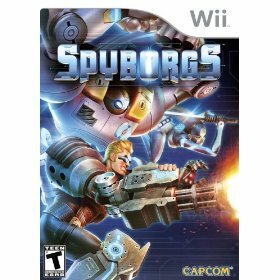 It's one of those rare titles where the Wii version is better than the high-def console editions. 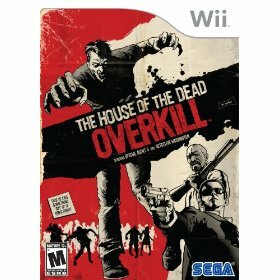 Two player co-op throughout the entire story is supported. 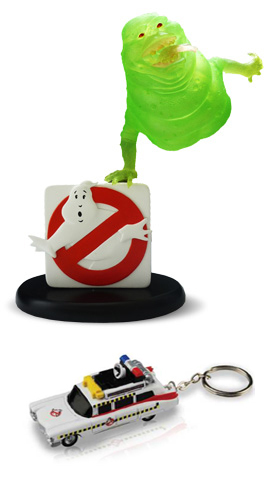 The best part of all is that the Amazon.com exclusive Slimer edition, with Ghostbusters-themed console skins, Ecto-1 keychain, and a nice Slimer statue, costs just a few bucks more than the standard version. Now that's a deal worth coming back from the afterlife to tell your friends about! Page created in 0.6802 seconds.